DEEP BLUES: The Hendrix of The Sahara :: BOMBiNO! BOMBiNO! BOMBiNO! The Hendrix of The Sahara :: BOMBiNO! BOMBiNO! BOMBiNO! Omara "Bombino" Moctar belongs to the Tuareg people ( known to themselves as Kel Tamasheq ), a semi-nomadic people from the Sahel region of Africa, a desert swath that stretches across the whole of North Africa from the Atlantic to the Red Sea. Bombino was raised in the city of Agadez, an important stop on the ancient trans-Sahara trade route. During the regions Tuareg rebellions, rebel news was carried through the region via song so guitars were banned by the goverment. Young Bombino traveled with his guitar to Algeria and Libya to escape the violence. While living there with family and friends he absorbed the videos of artists like Jimi Hendrix and Dire Straits. Sometime later his Group Bombino was recorded by Seattle-based found and field recordings label Sublime Frequencies, for it's Guitars From Agadez series. Bombino disavows these recordings, but I find them to be thrilling and just as satisfying as his new studio recording Agadez . The Group Bombino recording is raw, with the sound of a good quality field recording, which is what it is. 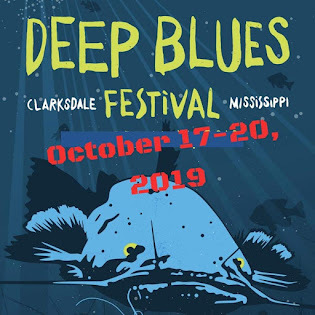 The performances, however, carry the crisp immediate edge of a Sahel desert-style post-punk clash with the late night soul of North Mississippi's juke deep grooves. One can imagine Bombino, head and face wapped in a Tamasheq scarf, a young Tuareg blasting away the dark nights bright stars with arid Jimi'd guitar shards as his band and friends rock and groove the Saharan sky away to dawn. The performances on Bombino's new recording Agadez are, to the contrary, smooth, refined, and often laid-back, but certainly no less powerful, rocking, and groove-a-licious. The recording quality is gorgeous, and Bombino and his band bring a variety of song styles to the sessions, from plaintive guitar and singer pieces with simple clapping and backup vocals for accompaniment, to trance-like polyrhythmic jams, no doubt influenced by local/regional artists like Ali Farke Toure and his son Vieux Farke Toure, and of course Tinariwen, and others. 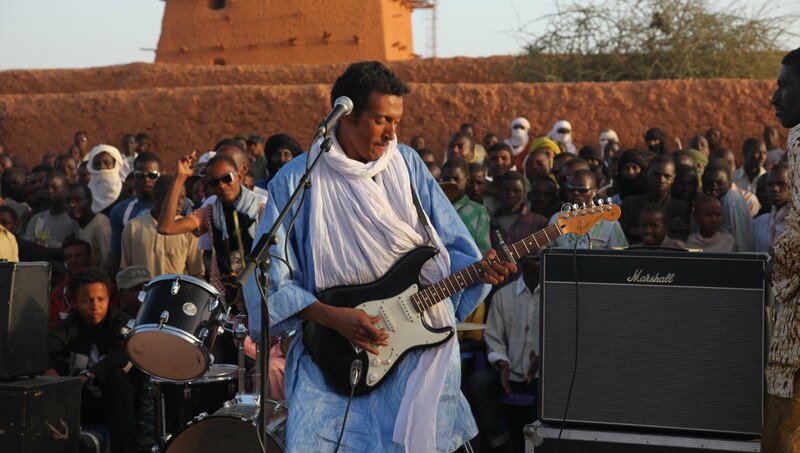 But Bombino brings his own vibe deeply filtered by the desert sand and ancient city streets of Agadez. Listen, if you've been wanting to try out some of the New Desert Blues, the new Africa sound, but don't know where to start: Bombino's Agadez is the album to get. It's tasteful, hot, daring, smooth, tight and deep, and it's one of the top audio highlights of the year. There's a wealth of cool North African stuff out these days that you should be checking out: Tinariwen, Toumast, Tamikrest, Group Doueh, Tartit, Mariem Hassan, Group Inerane,Terakaft, Staff Benda Bilili, and several others. Not to mention the guys working a hybrid, like Marcus James and Justin Adams. Click the names for a taste. If you want a much deeper roll in the Sahel, pick up Bombino's Agadez , and The Rough Guide To Desert Blues (various artists). 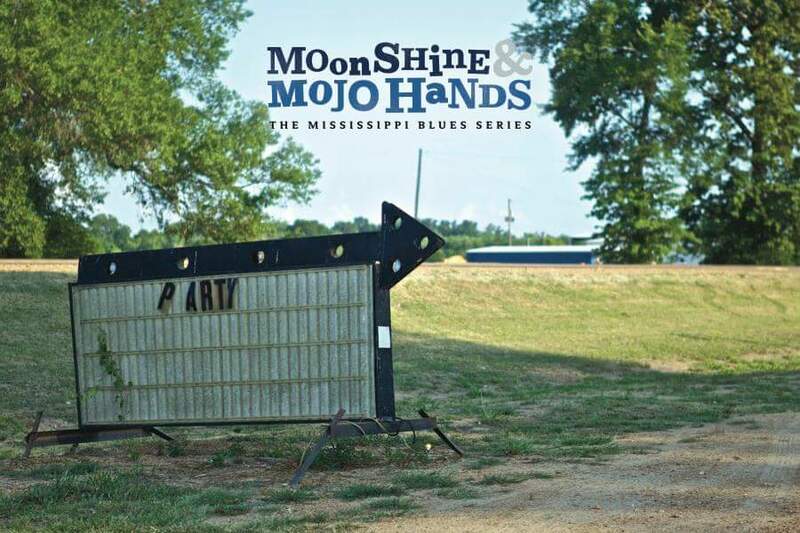 With tracks from four to nine minutes, put 'em on loud and random, let your western ears acclimate, and get your booty leg shakin'.